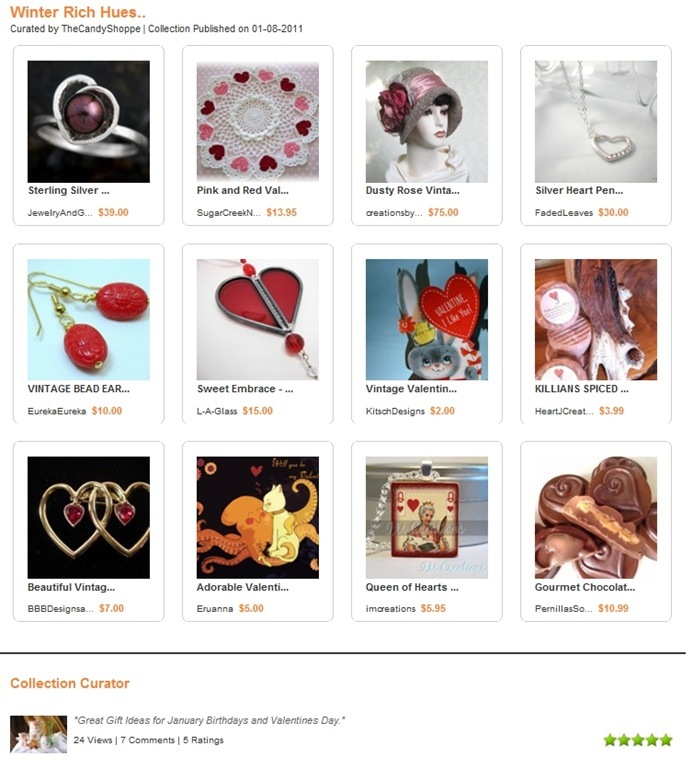 One of my vintage Valentine’s Day cards was featured in a recent Artfire Collection by The Candy Shoppe. It’s called Winter Rich Hues and it makes me want to start getting ready for Valentine’s Day extra early. Actually, it makes me want to each chocolate, lots of chocolate. Yummmmm…. Don’t forget to go check it out and leave a comment. Artfire Collection–Classic ChristmasArtfire Collections and Etsy Treasuries!Artfire Collection–Happy Valentine’s Day!